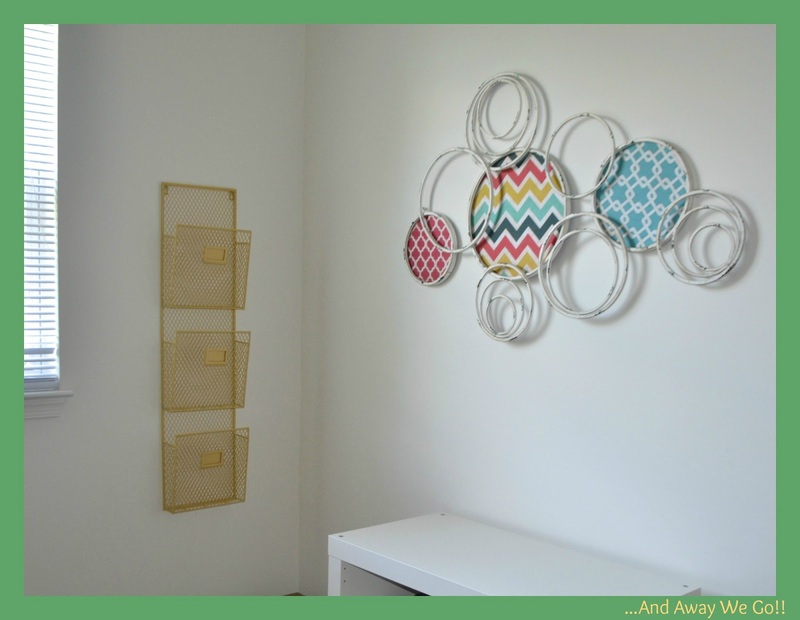 If you know me, or have been following for awhile, you know that it has always been my dream to have a space in my home to dedicated to crafting and sewing. Our new place has a great little loft that Rob and I have set up as a shared office. My half of the office (maybe spreading a little into his domain) has plenty of room for sewing and craft supplies and I am really excited to get it all set up! First up on the craft supply list... cardstock! I found this great paper organizer at Home Goods and loved the colour right away. It was a pretty great deal at $19.99 and goes really well with the fun wall hanging that I had already picked up! Each paper tray has a small slot for a label that I knew they would look great with a chalkboard finish. To make the labels, I simply cut the out a rectangle, added a Martha Stewart Chalkboard label and then trimmed the edges. 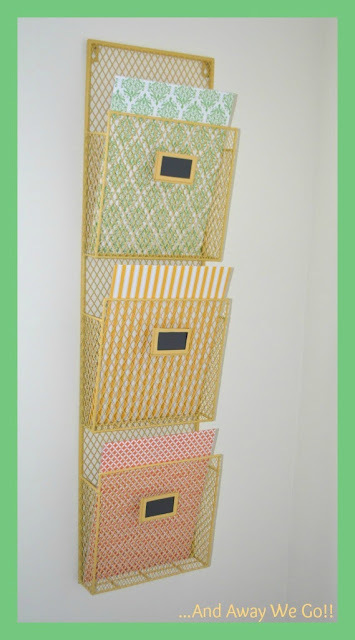 It was easy to divide my cardstock collection into three categories (white/ivory, colour, and pattern). I wanted to make sure that the paper would sit nicely in the tray so I covered three pieces of cardboard with a patterned paper and placed each board at the front of the three trays. 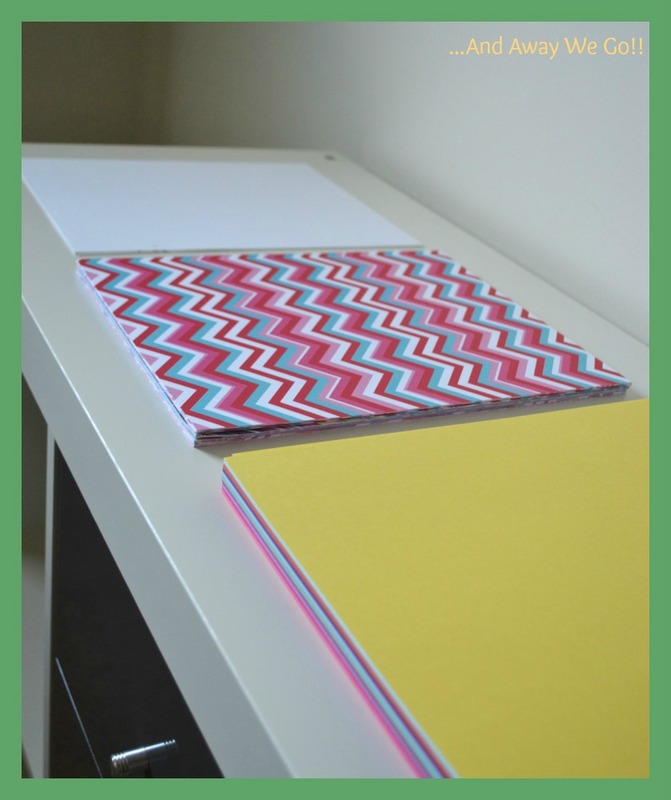 The cardstock is easy to access and will no longer get creased and damaged in the bin I used to keep it in. This little project makes me so happy! I absolutely love the way it looks! I know I'm not the only one who gets this giddy over organizing craft supplies... how do you get organized in the craft department? 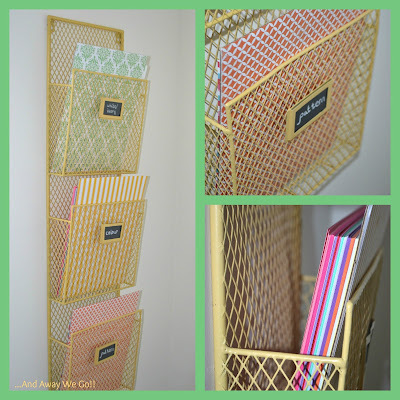 Love the bright yellow organizer! Love it and love that you love it! You will always be a giddy girl when it comes to crafts and organizing...Love Mom. SUPER cute! you have totally inspired me to paint my metal rack in my kitchen! love it! Nice! Love the color you chose. so cute!!! what a great way to organize and have it look adorable! 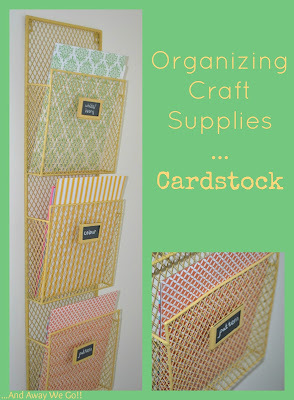 This is such an awesome way to organize all of that cardstock I have ((shoved - YIKES!)) in my craft closet... I get so frustrated when I can't find what I need - it usually falls out on my head! haha! Thanks so much for linking it up! Super cute! I especially love the chalkboard labels you added :) Pinning this! Enjoy getting settled into your own space! Adorable!! =) Happy weekend, Leanne! Very cute! And the color is great. Martha Stewart and Homegoods... sounds like an ideal project to me! 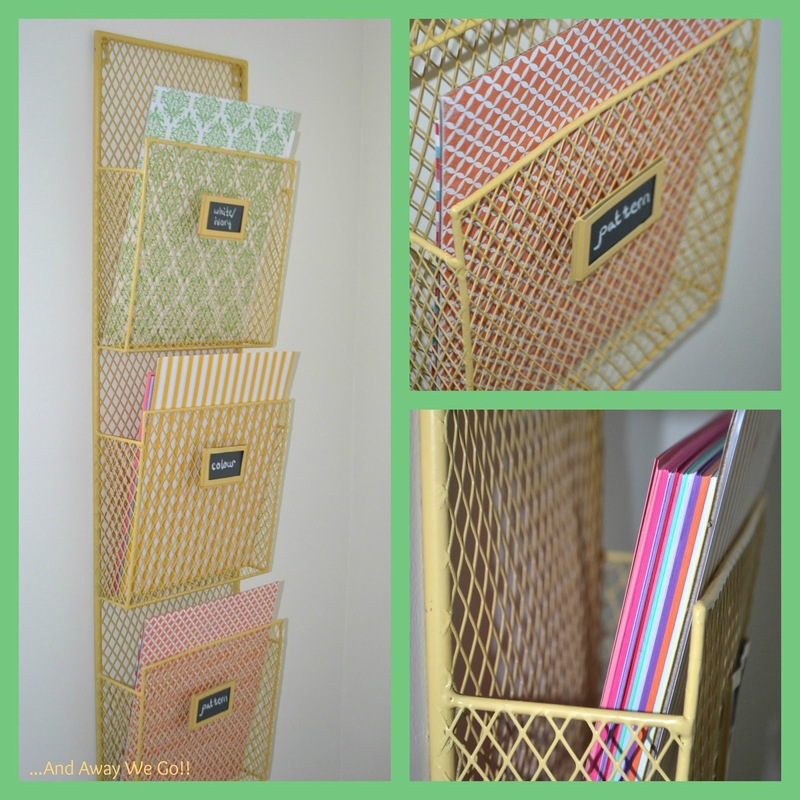 Such a pretty way to organise paper and keep it from getting damaged!